The applications that are created with this tool take advantage of the following technologies: full multimedia presentation support, flexible and customisable navigation ("browsing") systems, database interaction, course plan and student audit, mathematical/statistical engines, vector and bitmap graphics and a semantic analysis that allows to enter (and follow through) a dialogue with the user. Multimedia: The applications built by EGO control all common kinds of media sequences: video, digitised sound, (rendered) animations, synthesised speech. With EGO, multiple instances of such media sequences can play simultaneously -it is possible, for example, to play three videos, one computer animation and two sound/music files at the same time. User interfaces: For the user interface of an application, EGO enables the creation of both standard and artistic ("skinned") layouts. The traditional Microsoft Windows user interface, with its windows with a caption and a menu bar, and grey push-buttons, is at one end of the spectrum; an interface with animated screens and clickable "hot spots" and multimedia buttons at the other end. In the same spirit, the navigational aid may be linear, hierarchically tree structured, or hyperlinked (network model) allowing free exploration and dynamic updates. Flexibility: Applications created with EGO can manipulate databases and can thus maintain progress and usage history (per workstation, per lesson or per user), deduct user profiles and decide dynamically what options to propose to any particular user. Intelligent behaviour: EGO provides the tools with which applications can analyse and appropriately respond to user messages in natural language. This in turn renders the application capable of engaging into (simple to intricate) dialogues with the user, due to EGO's integrated language analysis tools. Modularity: EGO enables rapid development of applications of all sizes, and it offers ease of maintenance and future extensions after the initial development. Due to its modularity and its ability to handle programming code (the framework) from the contents, EGO allows significant cost reductions during all phases of development. This applies to the common development of updates of an existing application, as well as to the shared use of images, multimedia sequences and programming code "modules" across multiple projects. In particular, EGO neither requires pre-/post-processing of image, sound or video data, nor packaging these files into special "resource forks". Modern Integrated Development Environment (IDE): EGO is both a visual ("WYSIWYG") design tool and an interpreted computer language, augmented with a modern and powerful development environment. The development environment contains a program code editor with syntax highlighting and command hints, a visual designer/code generator, a powerful debugger and a block-diagram editor to construct natural language parsing patterns. EGO's integrated "Version Control" gives you a firm grip on the development of larger projects, especially when several developers are involved. Version Control encompasses the concepts of "Project Control", "Access Control" and "Revision Control". Project Control: EGO is often used for large projects done by teams of developers, and sometimes at different locations. Project Control groups resources that are part of the project and allows you to sift wheat from chaff. Access Control avoids that two developers concurrently edit the same file -one developer inevitably overwriting the other's changes. Although all developers may see or use every file, only one may modify it. In other words, the file is "read-only" for every developer except one. In addition to "toggling the read-only bit" of a shared file, the Access Control system also maintains who locked the file, on what workstation, and where it resides on the local drive. An EGO project implements a large number of modules and files, which have to be created, modified and debugged during the complete (sometimes lengthy) phase of development. As such, Revision Control that records the evolution of every file (the "who did what, when and why" information for every change), is quickly becoming indispensable. At any moment during development, the project administrator may take a "snap shot" of the current project status. This stands for a list of all files in the project, augmented with their current version stamps, and designated a meaningful name -for example "Final Beta". Assuming that the project, at the time of the "Final Beta" snap shot, consists of the three files "module1.ego", "module2.ego" and "module3.ego" with revision numbers 13, 4 and 5 respectively, the project administrator can at any later time restore the state of the project to "Final Beta", and reset the three modules to revisions 13, 4 and 5 respectively. This ability is quite helpful in tracking down the root of a bug that is detected late in the project, or to reproduce the behaviour of an earlier revision. A project snap shot is usually called a project "milestone". Since its conception EGO was ported to the platforms Apple II, PC/DOS (5 versions), Microsoft Windows 3.1x, Windows 9x, Windows NT, Windows 2000 and Windows XP. EGO maintains full backward compatibility through all versions of Microsoft Windows. For example, an application created for Windows 3.1 can immediately be opened (without "file conversion") on Windows XP and it will run without change. Generalised parametrisation: of both instructions and data (contents), allowing (for example) the construction of highly dynamic navigation systems. Graphic engine: display of geometric forms, bitmap graphics and vector graphics, multiple windows, multiple layers per window, off-screen display areas ("virtual screens"), clipping regions (e.g. non-rectangular windows), customisable origin and scale of axes, a large set of display effects (screen wipes), colour control (colour resolution, palettes). Response analysis engine: semantical analysis of natural language, enabling the application to react intelligently to the user's feedback and to enter a real dialogue with the user. Complete support for MCI: allowing the playback and extended control of video clips (AVI, MOV, MPEG1, MPEG2, DIVX...), sound/music files (WAV, MP3 and MIDI), (rendered) animations (FLI and FLC), and of all formats supported by Microsoft Windows. EGO extends the general command set of the Media Controller Interface, and it supports the extensions of custom MCI drivers. Multitasking (even under Windows 3.1 16-bits): starting parallel tasks, monitoring and execution control (pausing, aborting,...). Windows applications can also be "run", either independently or under control of EGO. ODBC interface: EGO interfaces with ODBC drivers, giving it the ability to query (and change) all databases that provide ODBC drivers (Microsoft Access, Microsoft SQL Server, MySQL, Oracle, Pervasive, Sybase SQL Server, Paradox, Visual FoxPro). DDE links, calls to DLLs and ActiveX objects; 16/32-bits: ability to connect to "Dynamic Data Exchange" servers like Microsoft Access, Excel and Paradox, direct calling into Dynamic Link Libraries or ActiveX/OCX controls (Windows "system" DLLs as well as custom DLLs). TCP/IP and UDP/IP support: allowing the construction of networked peer-to-peer applications (load balancing, remote surveillance), over the local network or over the Internet. Embeddable browser support (based on Internet Explorer), for on-line or off-line HTML content and streaming media. Visual development environment: syntax highlighting, module creation assistant (visual design) and an integrated debugger. A true independence of the data/content from the code/framework: leading to easy corrections and simple updates. DIDAX compiles (or "packages") applications and projects developed with EGO. 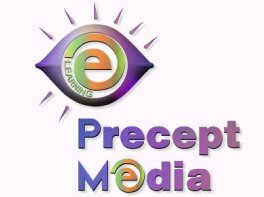 PRECEPT MEDIA was established in October 1998. Its founders brought with them an experience of between 15 and 20 years in the broad area of designing and implementing training programs and courseware, and the application of the new technologies of Internet and multimedia in this domain. This rich source of knowledge and experience, both pedagogical as technological, allows us to implement training and educational solutions that are tailored to the specific issue. These qualifications have gained us the confidence of both large and small industries and (governmental) organisations. A few references are: l'Armée de Terre, SOGITEC, GlaxoSmithKline, IBM, Thalès, Schneider, Philip Morris, DGAC/SCTA, CEFICEM, AFT and Skyguide. PRECEPT MEDIA is organised in a network of independent partner organisations, so that it has adequate resources nearby to handle projects requiring multi-disciplinary qualifications. The "multimedial axis" this formed gathers companies from France (EUROPHARMA, MEDIATUDES, PARABOLE), The Netherlands (CompuPhase), and Switzerland. PRECEPT MEDIA builds on the members of its team of full time employees, supported by partner companies. If the task at hand asks for it, the team is enriched with freelancers, like actors and (multi-)media technicians. PRECEPT MEDIA has built a French-Dutch team, who continuously maintains and extends a base of proven technology, the fruit of which is implemented in the Authoring System "EGO Win".